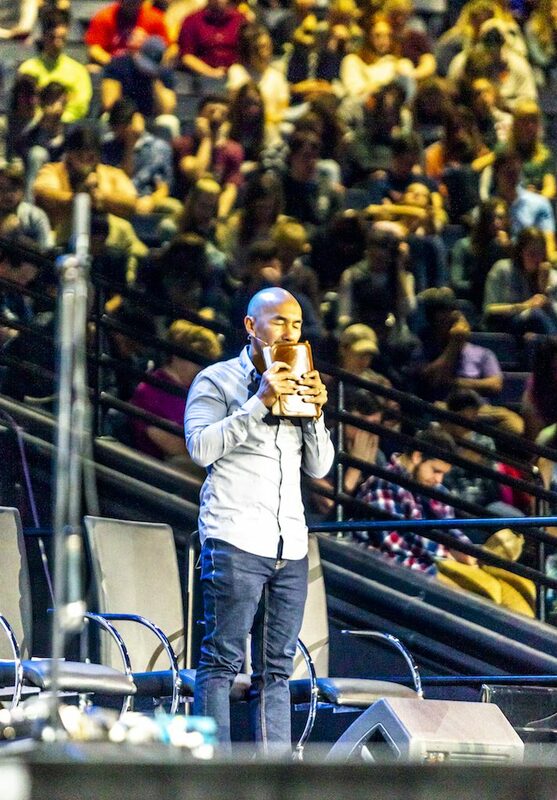 Internationally-known pastor and speaker Francis Chan challenged students to do great things for God, no matter what others think of them, at Liberty University’s Convocation Wednesday, Feb. 6. Chan opened by asking stu- dents to picture Jesus on the stage with him because at the end of the Great Commission, Jesus told his disciples he would be with them to the ends of the earth. He explained that he tells his pastoral students that if they feel any nervousness from the thought of Jesus being on the stage with them, it is because of sin in their lives. He challenged students to think about why they feel nervous when they get on a stage. STAGE — The ‘Crazy Love’ author urged students to desire the Holy Spirit and encouraged them to fall in love with Jesus. However, Chan said Jesus’ disciples likely did not worry about what other people thought of them because they were overwhelmed about what Jesus was going to do next. Chan explained a trend he has noticed in church, comparing this trend to a wave pool he once visited in Teas. Unlike the ocean, whereone does not know when thenext wave is coming, the wave pool was predictable,creating a man-made waveevery 30 seconds. Chan, a surfer, said the thought of this wave pool appealed to him. Like this man-made wave pool, Chan said church services sometimes feel this predictable to him. Chan cited the New Testament story of Jesus granting sight to the blind woman. While Chan knows he has not healed the sick the way Jesus did, he explained he had been convicted recently about his attitude toward healing the spiritually sick. 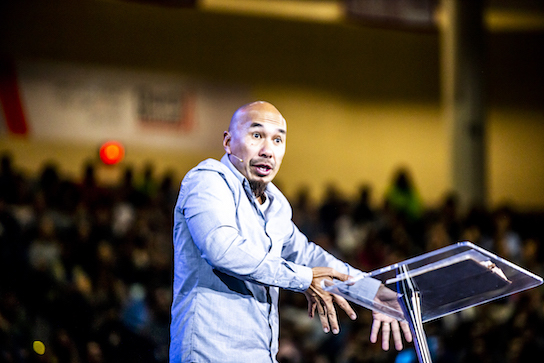 LEADING — Francis Chan spoke at Convocation, Campus Community and an impromptu worship session, which ran into the early morning hours. “Sometimes as a speaker, … I think if I give a good enough message, maybe I can change their hearts a little and have them fall in love with God a little bit more, rather than a total dependency spiritually on God,” Chan said. Chan started Cornerstone Community Church in California in 1994 and now travels the world speaking at events and conferences. He is currently a part of Crazy Love ministries. Chan told students that while he knew how to make a “man-made wave,” he was tired of that and wanted to let God work. “You can’t fake these things,” Chan said to the crowd. Chan said he did not want to be just another preacher giving a sermon to Liberty students, explaining that when someone is really saved, they should not have to have anyone begging them to spend time with God. 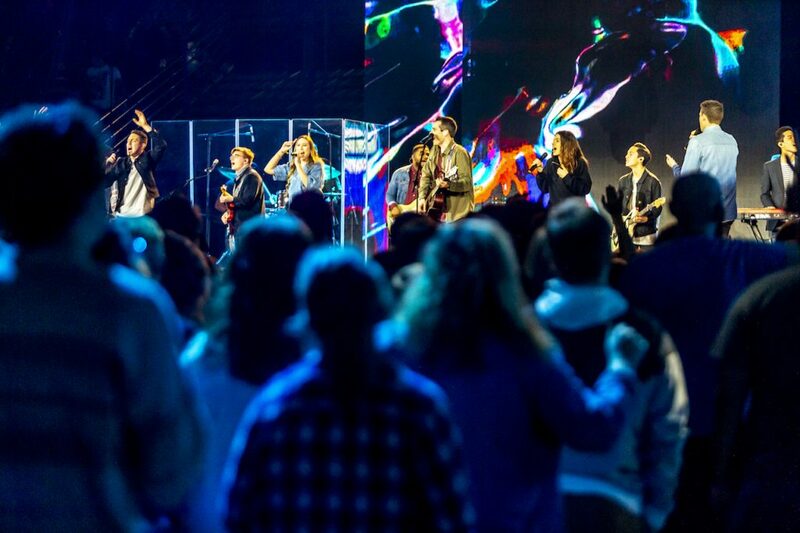 COLLECTIVE — The Liberty Worship Collective led worship for all three services in the Vines Center. Chan emphasized the importance of becoming a new person when they’re saved. He explained that when someone abides in Christ, they will not keep sinning. Chan also spoke to the student body at the weekly Wednesday night Campus Community gathering. Dozens of students responded to his message that evening and accepted God, prompting an impromptu service at 11:00 p.m. after Community Groups. More information about Chan’s ministry, Crazy Love, can be found at crazylove.org, or on Twitter as @CrazyLove.